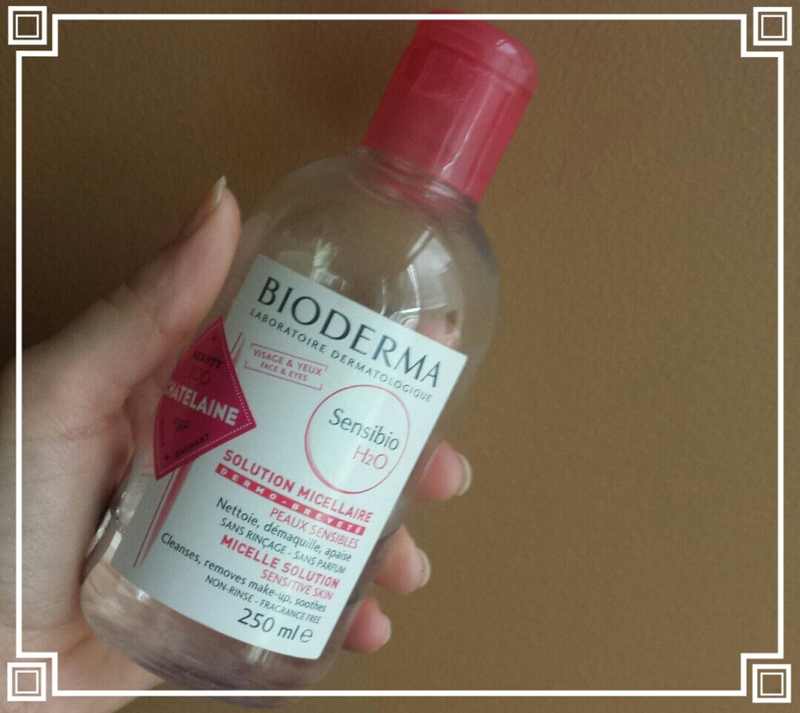 Ask me a month ago about Bioderma and I would have told you that I hated it! Yep, hated it! I bought it about a year ago and after 4 uses I gave up on it. “What is the big deal with this thing” is what I always thought. I didn’t like this product because I felt that it hardly removed any of my makeup. I would soak a cotton pad with it and rub it all over my face, feeling like afterwards I still had makeup to remove. It really bothers me when after makeup remover and face wash I still have makeup residue. Also, Bioderma isn’t cheap so when it didn’t perform like I thought it should I was extremely upset. Right now though I’m completely in love with it. Why is that, you ask. I think I finally started using it properly. About a month ago, I decided that I just needed to use it up so I could replace my counter with something else. Becoming more wasteful and liberal with the product I think I actually discovered how well it works. First, I ditched the cotton pad and put the product directly into my hands and massaged it all over my face. When the product had time to sit and do it’s magic it really worked, even for waterproof mascara. It feels amazing on the skin, not greasy like removers with oil and it leaves me feeling clean, I could even skip my face was routine afterwards, good for those days when I’m rushing. I’m so happy that I gave this little guy another shot. I would definitly re-purchase it, but it has also perked my interest in other cleansing waters (ones that may be cheaper) so I’ll definitley try a whole bunch. Has this ever happened to you? What product did you not like until you gave it another chance? I am dying to try philosophy’s purity I think its called I heard it works amazing, but its so darn expensive! Ooh, I’ve actually never heard of it. I know Garnier has a cleasing water that is supposedly really good too. Plus I think its much less expensive than Bioderma. I think the philosophy is a facial cleanser. I seen it in Ulta last time I was there and its like $42 USD. I am going to have to look into the Garnier one because my makeup wipes just aren’t cutting it for me anymore. You and me both! I’m soooo over makeup wipes! unfortunately there isn’t an Ulta in Canada – I envy you! Online girlfriend!!! =) Im sure amazon, and other retailers must sell it! I really appreciate the recognition by lululovelash! Your blog is awesome as well!